It’s easy to spot an ill-fitting suit or dress. Knowing if something is properly tailored to you or not is much harder when it’s not tangible. Like a pension. Unfortunately, the cost to you of an ill-fitted pension is much more than a trip to the shops. High charges, poor investments and a lack of management are just some of the things that could be mothballing your retirement plans. Thankfully, it’s easy to fix if you know what you are looking for. What do you mean by a tailored pension? 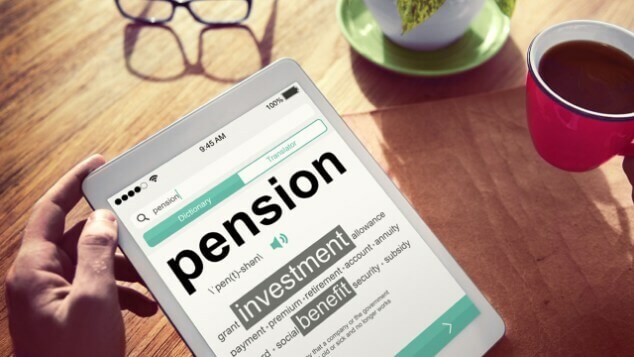 What questions should I be asking my pension provider? What type of pension have I got? If you have a final salary workplace pension, then you should be in a very good place. These types of pensions promise to pay you a guaranteed income for life from a set age. This is a very attractive benefit because you don’t have to shoulder any of the investment risk. Your company is obliged to pay you the income they have promised, regardless of how the investments they made with your pension contributions have performed. On the flip side, these schemes are usually less flexible when it comes to accessing your pension money early and passing on any of your pension when you die. If you have a final salary type scheme and these two features are very important to you, it’s worth speaking with a financial adviser to see how your pension could be better tailored to you. In most cases, though, if you have a final salary pension, keep hold of it. Are you managing my pension for me? How much am I being charged for my pension? What does a properly invested pension look like? Generally, personal pensions are much more powerful than other ways of saving, such as a bank account or cash ISA. The minimum aim is to beat average inflation rates over the long term so that your money grows rather than decreasing in value as living costs rise. While tax relief and tax breaks help to combat the inflation factor, how your savings are invested plays a big part in how much your pension pot will grow by over time. Are you prepared to trust your pension savings with someone who tries to predict what might happen in the future, or would you prefer a philosophy grounded in historical facts? Quite simply, a properly invested pension takes into account all these factors and is moulded to make sure it’s a perfect fit for you every step of the way: from when you start your pension to retirement and beyond. Why does my pension need to be managed? What pension charges should I look out for? Most pension providers levy an annual management charge. If it’s not immediately transparent, such as with profits funds, you could be paying for the service you are receiving in other ways. These annual management charges vary wildly and could have a significant impact on the size of your pension pot. For example, just 1% higher scheme charges could mean £25,000 in lost growth over 20 years2. It can be easy to forget about these charges because they usually come straight out of your pot. Yet, tailoring your pension to keep these charges as low as possible could mean a lot more money to fund your retirement plans when the time comes. How do I make sure my pension is tailored to me? Speak with a regulated financial adviser that is proven and trusted. They will review your current pension plan, to see what shape it is in and if it is tailored to your needs and circumstances. It makes sense to choose an adviser with no up-front fees. This means you get a report showing you exactly where you stand with your current pension, if there’s a better pension out there and what it could mean for you in the long term. All without having to pay a fee. The report will also show you how much it would cost if you asked the adviser to act on your behalf. Or, you can walk away fully informed with nothing to pay. Our FCA number is 754580.